The Owner and Operations Director of Walks ‘N’ Wags Pet First Aid. 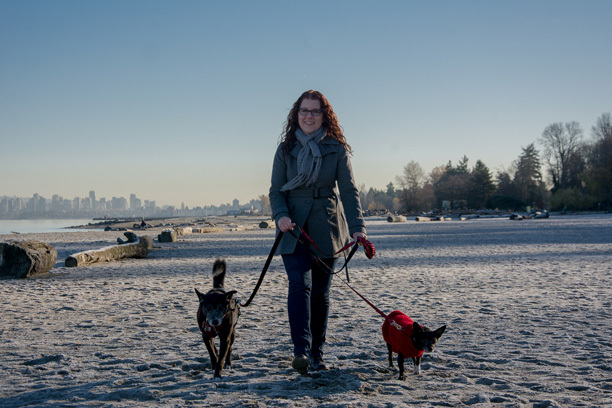 Lisa lives in Vancouver, BC with her husband, two children, dogs Tux and Floyd and cats Kitty & Kermit. Lisa’s education includes a BA in Psychology and education in Human Resources. Lisa entered the pet community in 2000 when she opened a Commercial Dog Walking and Pet Sitting company. Lisa has since obtained Certifications in Human and Pet First Aid, Dog training, and Technical Animal Rescue. Lisa is passionate about worldwide animal health and safety, which inspired her to leave pet care in 2010 to focus solely on Pet First Aid. In her free time, Lisa volunteers with World Vets International, Vancouver Orphan Kitten Rescue Association, BC SPCA Kids Camps, and Vancouver Emergency Social Services’ Pet Committee. Lisa has traveled with World Vets International to 7 developing countries for spay and neuter clinics. Lisa has also volunteered abroad with Soi Dog Foundation in Phuket, Thailand. Lisa enjoys making the adult education of Walks ‘N’ Wags Pet First Aid both fun and informative. She loves meeting people who are passionate about animal health and safety, and sharing her time and knowledge with pet lovers around the world.